We created this package for those who need an entry-level do-it-all kit. 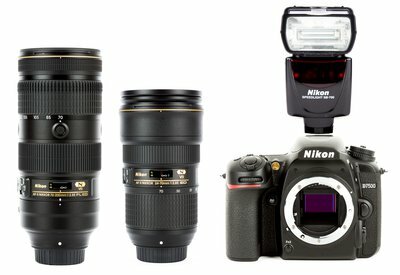 The whole package includes a Nikon D7500, flash and two high quality zoom lenses. The D7500, 17-55, 70-200, and SB700 will work great for general portraits as well. This kit is also stellar for travel photography, get everything from wide landscapes to nature and wildlife with both amazing lenses. Don't forget your SD cards and any filters!